Winners of Round 23 cTrader Weekly demo contest have been revealed! One more round of cTrader weekly demo contest is over, and the results of the contest are announced. Round 23 was lucky for our 5 winners. The best traders of the round are awarded with the prize from our fund and proudly listed among the winners from previous rounds. While we congratulate five lucky winners, we encourage all traders to register for the next round that will take place just in a few days! We would like to cheer up all traders who have participated in the contest and don’t see themselves among winners. You have a great opportunity to show your abilities in our next round. Register now, and explore all advantages of cTrader Weekly demo contest. Don’t miss your chance! The competition attracts more and more participants. Trade actively, learn fast and receive your results quick. 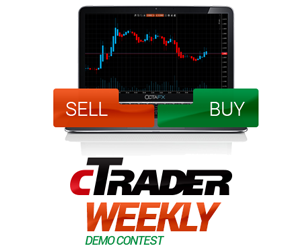 cTrader Weekly demo contest is devised specifically for this purpose! We are glad to announce the launch of Thai version of our website. It’s great news for our valuable Thai-speaking clients, who inspired us for this improvement.